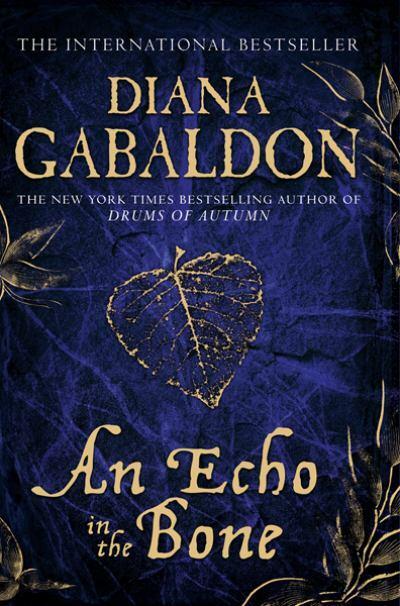 Later this week I am planning to share my story about the Outlander books by Diana Gabaldon, in conjunction with a review of An Echo in the Bone, the Outlander book that came out last year and I am only just getting to read now! These books were influential in getting me back to reading, and you don't have to search too hard for other Outlander fans. I even managed to get one of my train friends to read the books, and somewhat to my shame, she has just finished reading this book before me! As I mentioned, you don't have to look to hard to find other fans - Carolyn Crane has just done a really fun post titled "Why aren't men like Jamie Fraser?". Can I say how much I love our cover of this book, especially compared to the lime green number that is gracing the paperback version! In real life it is a gorgeous purply/bluey colour, which is even better because it matches my clothes, my pyjamas, my purse! So much purple! What will I do when it is no longer in fashion! I'm interested in reading your review! I'm winding down my reading of EITH too! 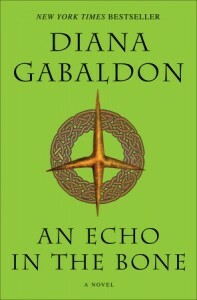 I love the Outlander books and could not agree more as to how hideous the lime cover is on the paperback edition. As for why there aren't more men like Jamie, I'm still hoping for just one man like Roger! 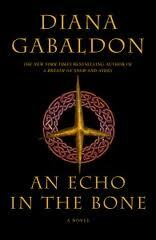 On her blog Diana Gabaldon calls it the Green Slime! Oh, I can't wait to read your thoughts on this one. I am absolutely crazy about these books and just got my copy a few weeks ago. I have quite a bit of reading to do, because I took a hiatus right before the Fiery Cross, but I am hoping to pick the series up again soon. I just love me some Jaime! I have the indigo-type cover too- saw this in smaller paperback on the weekend and thought it would be much easier to lug around than my giant copy (which, incidently, is still on my TBR pile). Can't wait for your review- I think I need to recap the series before I start this one. I'm another Outlander lover. :-) I have the first cover but that green one scares me a little. Amy, it would be interesting to find out what the thinking was behind that green cover. Sam, once I started reading it I was right back in their world again, but this did sit on my bedside table for the best part of a year. I read from the beginning through the end of Fiery Cross without much of a break, but then had to wait for A Breath of Snow and Ashes came out. I haven't wondered whether I would have slowed down if I was discovering them now. Claire, I wonder if it would reflect badly on me if I confessed that I would be happy with a Jamie, a Roger or even a Young Ian? Mary, how are you finding it? Misfit, I kind of miss the landscape covers that we had. They were so pretty.